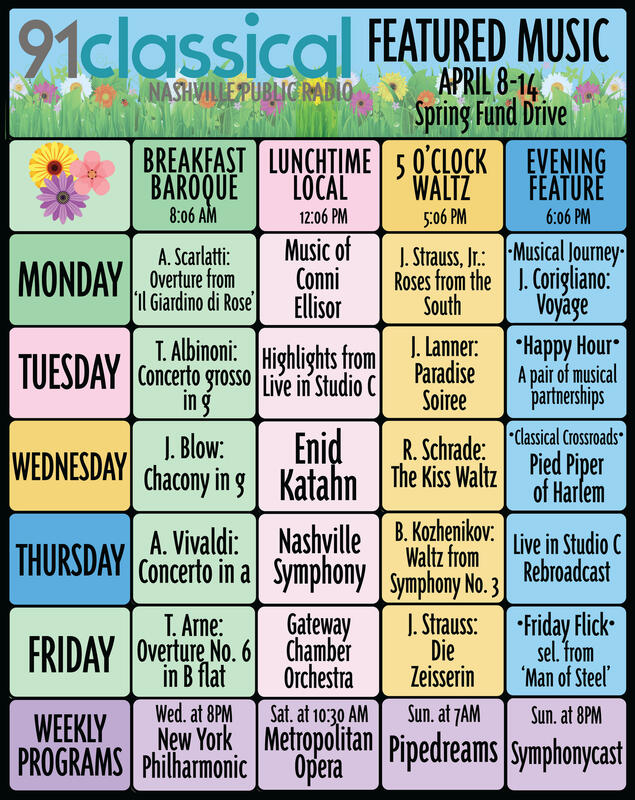 Spring is in the air, and we have some flower-themed music this week to celebrate the season — and our 2019 Spring Fund Drive! Each day on 91Classical, amid the variety of the day's playlist, we offer a handful of featured selections at set times. Breakfast Baroque gets your day off to a light start, the Lunchtime Local features composers and performers from right here in the Midstate, the 5:00 Waltz celebrates the end of the workday, and our evening features take a different tack each night, from music that carries you to a specific spot on the globe to orchestral music first heard in the movie theater. Because you tune in to hear our featured music every week, become a member of Nashville Public Radio today. You could even win a trip to Montreal! George Gershwin was a runaway surprise in our recent March Music Madness tournament. An American in Paris unseated Beethoven's Symphony No. 5 to make the semifinals. So when we needed a last-minute fill-in guest for Live in Studio C, Matthew Phelps kindly offered to dust off his Rhapsody in Blue sheet music.